Individuals or businesses that owe taxes to the Internal Revenue Service will often want to settle their tax debts. As a tax attorney, I have often been asked, what is a tax settlement or can I settle my IRS tax debt? The article below has been drafted by a tax attorney at The McGuire Law Firm to provide information regarding IRS tax settlements. If you have any questions, please feel free to contact The McGuire Law Firm at anytime. Generally, when people refer to a tax settlement or an IRS tax settlement they are referring to an offer in compromise. The IRS has an offer in compromise program whereby individuals and businesses can resolve their tax debts by paying an amount that is less than the amount due to the IRS. For example, Jeff may owe the IRS $64,000 in income tax from his 2010 and 2011 1040 Individual Income Tax Returns. Through the IRS offer in compromise program Jeff can submit an offer to pay an amount less than the $64,000 owed. Jeff would submit his offer in compromise to the appropriate offer in compromise unit, which is usually determined by where Jeff lives. The IRS offer unit would review Jeff’s offer and make a determination. The determination may accept Jeff’s offer, reject Jeff’s offer but agree to accept an increased amount or reject Jeff’s offer and hold that Jeff can full pay the tax liability. Ok, so now you know that you can settle your tax debt with the IRS through an offer in compromise, but how? The offer amount the IRS will accept to resolve your tax debt is based off of an equation. The equation takes into account your equity in assets and your disposable income to eventually calculate what the IRS would hold is your reasonable collection potential. Thus, you must complete a financial statement listing your general information, assets & liabilities and income & expenses. The financial statement an individual, including an individual who is self employed would complete to resolve 1040 individual income tax liabilities is Form 433A OIC. If the individual holds an ownership interest in a partnership or corporation, then the individual must also disclose this information on Form 433B. If a business is attempting to resolve tax liabilities such as 941 tax debts or 940 tax debts, the business would need to complete Form 433B OIC. In addition to completing the appropriate financial/collection statements, you must include the appropriate attachments which will be listed on the collection statement. The attachments are to verify what you have stated on the statement. For example, you generally must provide bank statements. Further, if you state you have a mortgage payment of $1,450 per month and owe $224,000 on the mortgage, you must provide a current mortgage statement showing the monthly payment and the remaining amount due on the note. After you have completed the statement(s) and gathered all of the attachments, you will need to complete Form 656. 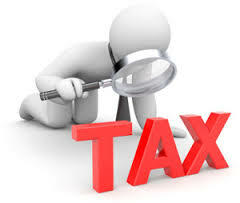 Form 656 states the type of taxes and tax periods you are requesting to settle; the amount you are offering to resolve your tax debt; the payment terms for payment of the offer amount; the type/reason for the offer in compromise; how you will pay the offer amount and other general information. When you have completed all financial/collection statements and Form 656 as well as gathered the attachments, you can mail your offer in compromise to the appropriate IRS offer in compromise unit. In general, there are two units of which to initially forward your offer. One unit is in Memphis, TN, the other unit is in Holtsville, NY. When you mail your offer, you need to include your application fee and the appropriate offer payment, which is based upon the offer amount and payments terms. Once the offer unit receives your offer, you will receive notice of receipt. The offer unit or an offer examiner may request additional information, or you may receive a determination notice without ever speaking with an agent. If the unit or examiner requests additional information, such information must be provided or your offer is likely to be rejected. Further, failure to remain in compliance with all tax return filings and tax payments can lead to your offer being returned. If an offer in compromise is returned, you do not have the appeal rights that you would have if the offer was rejected. Typically it takes at least 4-6 months to receive a determination from the offer unit. It is not uncommon for the process to take 8-12 months depending upon the taxpayer’s circumstances. In generally, if you have multiple business interests and a lot of assets, the offer in compromise process is likely to take longer. If you have any questions regarding an IRS offer in compromise, please feel free to contact a tax attorney at The McGuire Law Firm. John McGuire has successfully settled many tax debts for clients through the offer process and is very experienced in working with the IRS offer in compromise units. Contact The McGuire Law Firm to schedule your free consultation with a Denver tax attorney regarding any of your tax questions, matters or issues. The McGuire Law Firm has law offices located in Denver and Golden Colorado.